Migration is dedicated to crafting Pinot Noir and Chardonnay from the finest cool-climate winegrowing regions to create wines that highlight lush fruit, bright acidity and impeccably balanced oak. This focus has taken us to the far Sonoma Coast, where the Pinot Noir vines of Goldrock Ridge Vineyard grow in ideal sandy loam soils just a few miles from the Pacific Ocean. This extreme, maritime-influenced environment yields a wine of great structure and precision that reveals layers of complexity as it evolves in the glass. This voluptuous wine delivers rich ripe blackberry, cherry and vanilla notes, as well as complex secondary layers of dried hibiscus, candy cap mushroom and moist earth. 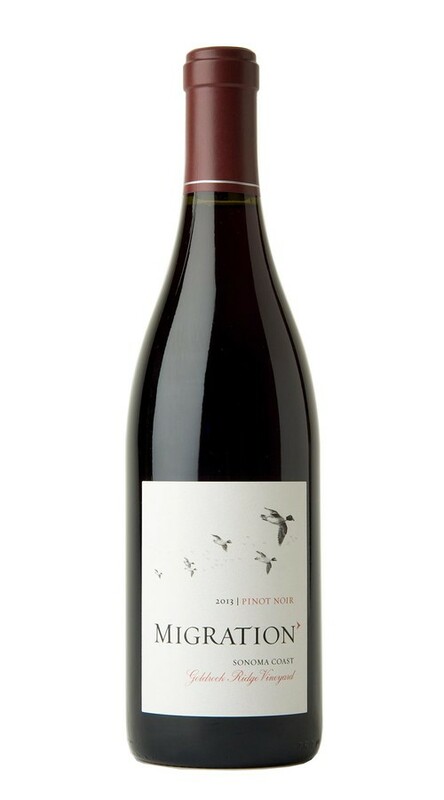 On the palate, it is full and giving, with a broad structure and abundant flavors of black cherry and plum. The fruit is accented beautifully by a nice toasty oak note, which lingers long on the finish.